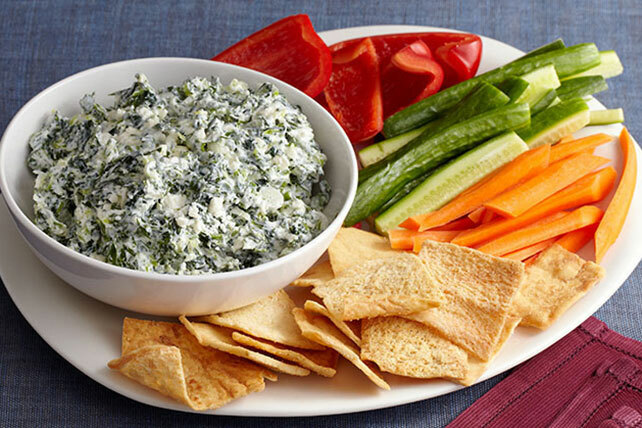 Enjoy a Healthy Living Greek Spinach Dip at your next gathering. This Greek Spinach Dip gets its tart and creamy flavor from feta and sour cream. Serve with assorted cut-up fresh vegetables or ATHENOS Whole Wheat Baked Pita Chips. Substitute 1 Tbsp. chopped fresh dill for the dill weed.